Puree the sliced berries, sugar, lemon juice and salt. Strain to remove seeds. Heat the cream just to the boiling point and pour over the puree. Add finely diced strawberries and stir to combine, and chill. Freeze the next day in an ice-cream machine or the “double-ziploc method”. Transfer to a container and freeze until firm. 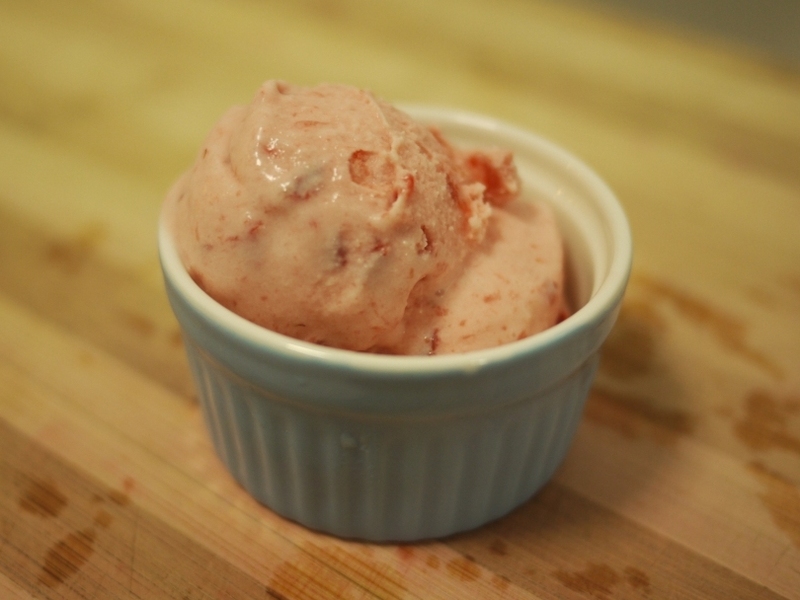 This entry was posted in Cook and tagged ice-cream, strawberry on November 16, 2011 by three3seconds.